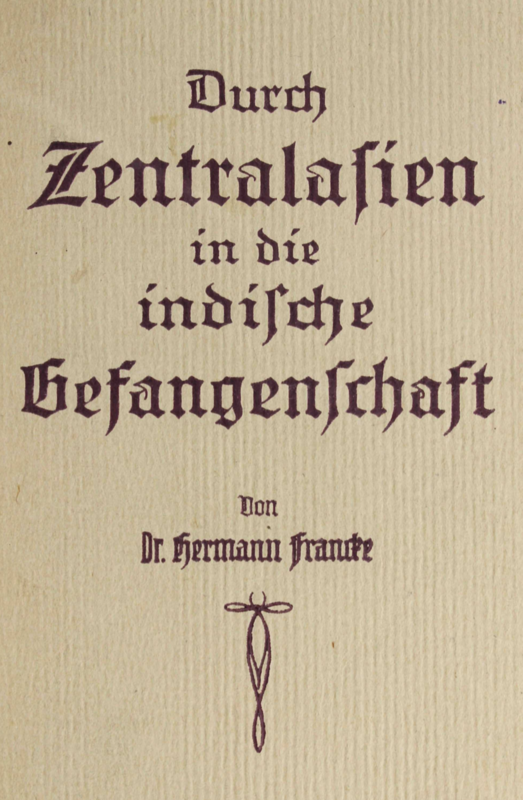 This map can be found in Durch Zentralasien in die indische Gefangenschaft (1921) written by Hermann Francke. The map is divided in two sections where the upper section illustrates the route from Kashgar to the Karakorum pass, marking towns and rivers along the way across the Takla Makan Desert and the Kunlun Mountains. 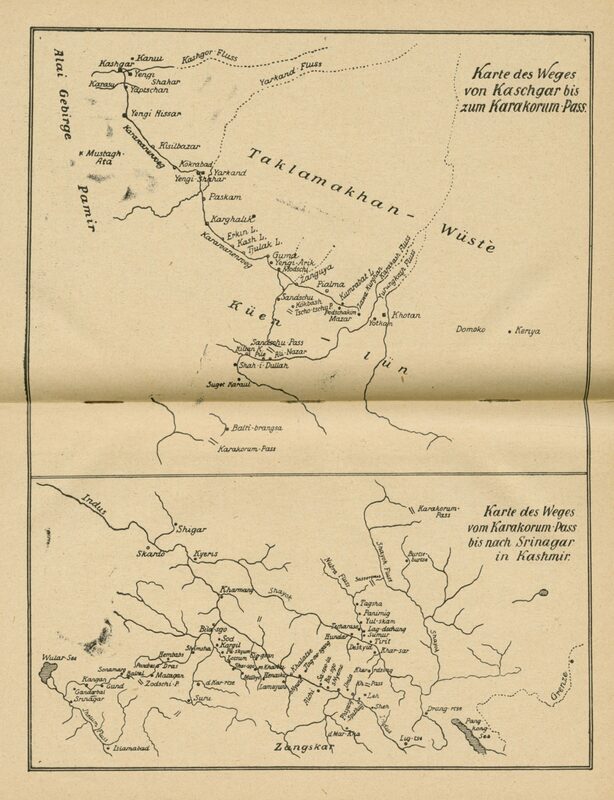 The bottom section of the map illustrates the route from the Karakorum pass to Srinagar in Kashmir. The Indus River can be seen in the northwest corner and Islamabad to the south, as well as the district of Zanskar to the south.